Anolis sagrei, the Brown or Festive Anole, is rapidly becoming a model system for the study of ecology and evolution, having been the focus of important work from behavior to ecology to evolution. 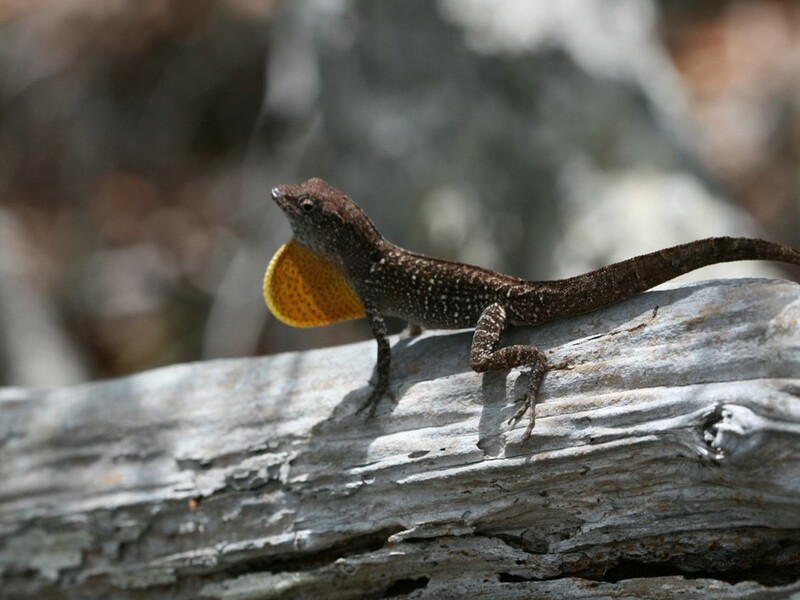 This interesting lizard has the broadest distribution of any known anole species, occurring from the northern Bahamas through Cuba, the Cayman Islands, and all the way to Central America. The species also exhibits a range of morphological and genetic differentiation, providing a useful system for the study of rapid evolution and incipient speciation. A great deal of previous work has been conducted in Bahamian populations of A. sagrei, including proposing that ocean currents attenuated divergence by effecting directional gene flow strong enough to overcome allopatric divergence in fitness-related traits. This finding suggests that gene flow might have a strong effect on retarding divergence and thus modulating adaptive diversification. This evolutionary “brake” might explain why a widespread and highly vagile anole species has potentially undergone less ecological divergence across oceanic gaps than congeners. As a major component of my postdoctoral work, I am studying range-wide diversification, species limits, and evolutionary relationships of A. sagrei. 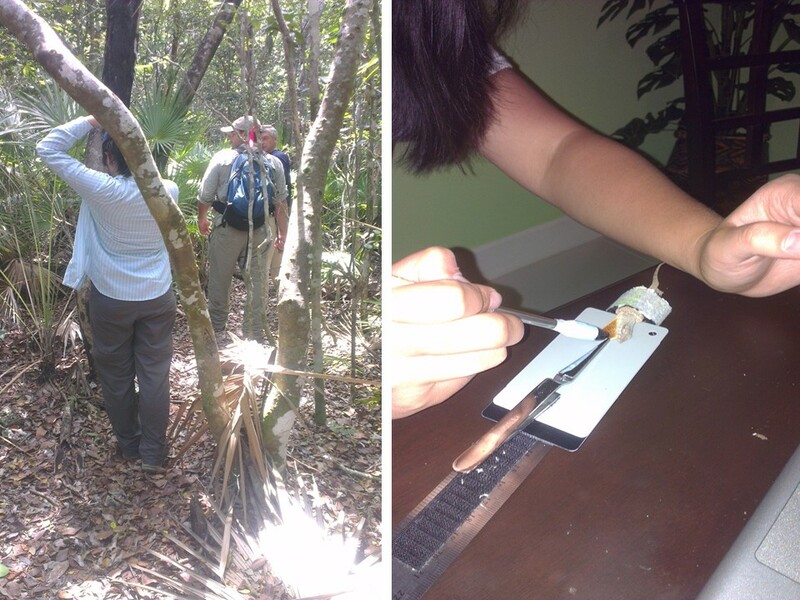 Along with some excellent field assistants, we recently spent some time on Abaco chasing Brown Anoles, as part of a larger project studying this species across the Caribbean Basin. Across this range the species has considerable morphological and genetic variation, and indeed some populations have been considered to be distinct species. 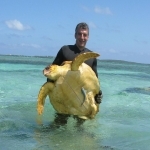 Our goal is to assess and quantify this morphological and genetic variation, beginning in the Bahamas. We sampled male and female anoles from a variety of locations and habitat types across Great Abaco, sampling individuals both at night using headlamps or during the day using lizard “nooses.” The latter are telescoping fishing poles with a bit of dental floss on the end, which when slipped onto the neck of the lizard allows it to be caught without injury. We took a variety of data on these individuals, including photographs and reflectance readings of the dewlaps, morphological measurements, and genetic samples, all of which will be folded in to the larger project as we work our way through the Bahamas. Stay tuned for the results from this pursuit!